City officials approved safety changes lowering maximum speeds by 5 mph roughly a year ago. But some signs with the former limits remain posted, and some areas have nothing to indicate speed limits. 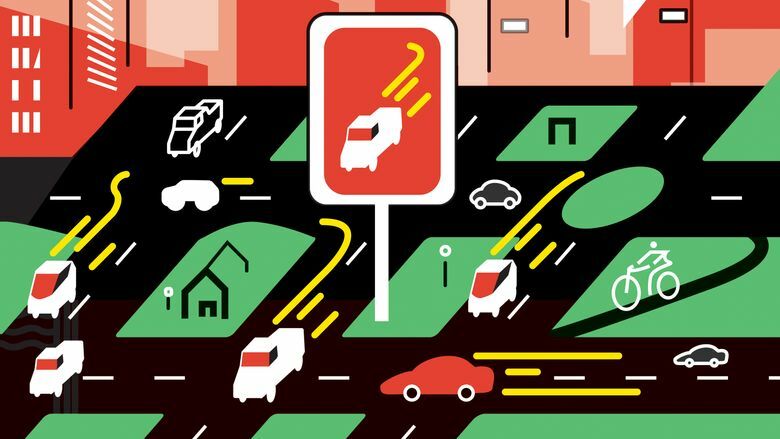 In early 2015, Seattle became the latest city in a nationwide campaign to eliminate traffic deaths and serious injuries by adopting a broad set of goals to improve safety. A major part of the plan? Lower speed limits across the city. Last September, the City Council passed a law reducing maximum speeds from 30 to 25 mph on central-city arterials and from 25 to 20 mph on residential streets. Crews installed 145 new street signs announcing the change. But a couple of residents contacted Traffic Lab recently, noting a lack of consistency between what they see on streets — in terms of signage or driver behavior — and the city’s official speed limits. Some signs with the former speeds remain, and some areas have no speed-limit signs at all. Here’s the deal: Drivers should default to the 25-mph and 20-mph limits unless signs show otherwise. “If the sign says 20, 25 or 30 — whatever the sign says — that is the speed limit,” Seattle Department of Transportation (SDOT) spokeswoman Mafara Hobson said. Detective Patrick Michaud of the Seattle Police Department said officers are aware of confusion around the changes. So, when they pull over speeding drivers in areas with the reduced speeds, officers tend to focus on education, allowing people to adjust to the change. Richard Kearns, of Queen Anne, was among readers who expressed concern. He wrote in an email the new speed limits have had “zero effect” on curbing fast driving in his neighborhood, and the city has not publicized the changes well. “I cringe every time I watch speeding cars maintaining speeds of 30, 35 miles per hour through blind corners!” he wrote. Molly Smithgall said speed-limit signs in her Northeast Seattle neighborhood are practically nonexistent, and drivers usually pass through at around 25 mph. “There are quite a few cardboard signs stating 20 mph is enough, drive like you live here, and things to that effect,” she said. Arterials are generally streets with more than two lanes, or two-lane streets divided by yellow stripes. And on residential streets, some of which have stop signs or traffic circles, drivers cannot legally surpass 20 mph unless there are signs that say otherwise. Hobson urged people who notice inaccurate speed-limit signs to report them by calling 202-684-ROAD (7623). In terms of law-enforcement, Michaud said police officers employ a variety of methods, including using radar guns or driving alongside cars, to measure speed. Cameras in school zones across Seattle issue the bulk of the city’s speeding citations. Speeding tickets in Seattle range in cost from $105 to $423, depending on the violation. The school-zone cameras monitor for drivers over the 20-mph limit during busy morning and afternoon times, operating roughly two hours each weekday throughout the school calendar. Police review the footage to determine whether a driver should be ticketed. The cameras, located at 14 schools, have resulted in more than 42,780 citations so far this year, Seattle Municipal Court records show. Last year’s annual total topped 82,120. SDOT says it is considering adding cameras to 12 more school zones next year. Those violation totals do not include speeding tickets issued by Washington State Patrol troopers, who enforce traffic laws on state highways, including Interstate 5 through Seattle. The Patrol files those in King County District Court. Cutting speed limits in Seattle was part of a safety effort called “Vision Zero” that includes law-enforcement crackdowns, traffic-pattern studies, “road diets” to slow traffic, and educational campaigns with the goal of eliminating all road fatalities and serious injuries by 2030. Seattle transportation officials say the city is making strides in ending deaths and serious injuries despite its population boom, which has rocked traffic planning. Millions of taxpayer dollars from the $930 million Move Seattle levy go toward the road-safety effort annually, SDOT reports. Voters approved the levy in 2015. Over the past decade, officials documented about 4,500 pedestrian-related accidents and nearly 3,800 more involving bicyclists, according to a Seattle Times analysis of city data. Five pedestrians and three bicyclists died on Seattle streets last year, a significant decline from years before. Of all fatal crashes in the city, SDOT reports that 20 percent involve speeding. “We know that a small speed limit reduction doubles the odds of survival for vulnerable travelers,” says the safety effort’s 2017 progress report. Last week, we shared people’s stories about crosswalks and spotlighted the Washington law that says pedestrians have the right of way at all intersections. The week before, we featured Seattle’s Sidewalk Repair Program and how its crews prioritize projects.